/ Jewish Boy Natan’s Near Death Experience: From God or Something Else? "Tim, What About Natan's Dream?" Emails have been coming in for a few months now asking me my opinion on a certain YouTube video. It's not your typical prophecy-theory promotion video that people want my comment on. 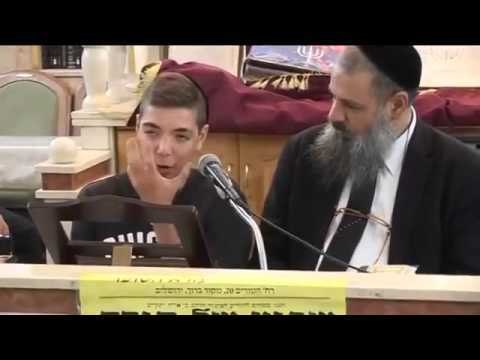 It's the sensational testimony of a 15-year-old Israeli boy about what he saw when he died for 15 minutes. Yes, a Near Death Experience account. Below is the loooong video in case you want to watch it yourself (in Hebrew with subtitles). You'll see the youth Natan interviewed by a rabbi named Rav Rami Levy. Frankly, I've been putting off writing on this video all this time not just because it's long and in Hebrew. It's simply that after two decades of encountering such tales, they hold none of fascination for me that they do for people new to this genre. Whether you want to talk about revelations from Near Death Experiences, "my trip to Heaven/Hell" accounts, predictions of "Messiah coming soon" from non-believing Israelis (especially rabbis), or visions about the US president being some bad guy from Bible prophecy...I've seen them all many times before. There is a good reason you won't see me sharing them with my readers which will become clear as we go. What's mildly interesting about this case for me is how Natan's story includes all of these elements mentioned above. He died, saw Messiah, President Obama, Heaven, Hell and the future and then came back to his body. This probably explains why it's getting so much attention and generating so many questions for me. It's as sensational as you can get; it has something for everyone; Jews and Christians alike. After he died, he rose above the earth and saw a light that was full of love and security. He can’t properly explain how amazing this was. Messiah has already here and is very well known. People will be very very surprised. (He seems to be alluding to Jesus but is afraid to say it as common among Jews and Muslims. A Jewish believer told me after listening to the interview, "Natan appears to have seen Jesus the Messiah and obviously feels threatened to give a full disclosure of the event. Another interesting thing is that he saw 'Messiah' and knows who it is and everyone else knows who it is too but to his listening audience (the Jews) he tells them that they would be very, very, surprised. Natan apparently knows from his statement the "Messiah's Name" but still omits it and not shares this most important and anticipated detail??? Again, this method of obfuscation is common among Jews and Muslims. In other words they are cowardly and basically deny Him as Peter did, thrice." The war of Gog and Magog started Sept 11, 2015, and it will get much worse in the weeks or months to come. There will be a huge world war that will eventually lead the nations of the world to unite and attack Israel and Jerusalem. The leader of the free world is now Gog. Gog is none other than Barack Hussein Obama. The Jews who did not keep Torah will die. The number will be in the millions. This is in addition to the non-Jews who will also perish. Mt. Zion will split into two and the Messiah will be revealed. Messiah will be able to sense by smell who is a real God-fearing Jew and who is not. Messiah will fight against Gog and kill him. Gog will be buried in Israel. Israel will be captured but the worthy will survive in Jerusalem. Messiah will wear a garment that is stained in blood. The blood symbolizes all the Jews who were killed while righteous. Messiah will then take revenge on the nations of the world who have oppressed us throughout the years. It will take a very long time to bury all the dead. Only those who do really repent will survive. Those who repent will inherit the highest level of heaven. The Holy Temple will descend from heaven and there will be a resurrection of the dead. This will take time and not happen immediately. It's a "matter of months" till the final redemption. Despite my initial reluctance to look into this, I have to admit I was surprised and intrigued by part of it. Don't get me wrong, there are many things said that do not fit Bible prophecy. And I have strong doubts about the source of his vision, which I'll explain below. For example, what obviously does not fit is that the Messiah is not "already here." Prophecy is plain about Jesus coming in the clouds a second time, from heaven. In fact, Jesus specifically warned about believing stories that the Messiah is already on earth in a secret place. The claim that the Gog Magog war has already started months ago is also hard to fathom. Nor can I see Obama as Gog or anyone else in prophecy. It's always tempting to read the current unpopular president into prophecy, usually as the Antichrist. But it just does not fit. The other claim I am surprised to hear is the description of a nuclear attack on Israel. This is another idea I've taught for years in my book. Damascus is going to be gone from being a city as Isaiah 17 says. But it also says northern Israel ("Ephraim") is nearly gone too, along with several of the enemy nations around Israel, like Jordan (see Psalm 83). I've wondered if this does not mean Israel nukes them all in response to an unsuccessful or only partially successful nuclear assault on Israel. This lack of a Arab nuclear arsenal (so far) to answer Israel's nuclear superiority would also explain why the Arabs have not launched a fourth confederate attack (#1, 1942; #2 1967; #3, 1973) in over four decades now. I've also said that the Arabs won't invade Israel again with just one nuclear bomb. There's too much risk in that; no fail-safe. They need more redundancy to their nuclear attack for the best chance of success; an arsenal. Perhaps they fail as prophecy says because they strike with only two, or only two get through of a few (as Natan says)? Time will tell...but it is intriguing how a few things Natan reported are not popular prophecy interpretations yet line up with prophecy when read most literally. So...Did He Hear From God or Not? What do we make of his vision then? Is it of God or men(Mt 21:25)? The person is sincere and they must have heard from God. Spirits disobedient to God, fallen angels and demon have inspired the person. Christians doubt that people can hear or be inspired by demons (let alone possessed). Scripture says otherwise, both in the OT and NT. I'll give two quick examples, although the subject deserves an entire article of its own. One of my favorite stories in the Bible is the OT example of this. In 1 Kings 22 the wicked King Ahab of Israel is enticed by the prophets of Baal to believe he will be victorious if he attacks Aram. God's prophet Micaiah disagrees and predicts defeat. To explain why Baal's prophets said the opposite, Micaiah shares a rather disturbing vision of heaven he saw. In it, God asked the council in heaven who would entice Ahab to fight Aram and die (1Ki 22:20). A lying spirit came forward and said it would do it. "How?" God asked. He explained he would speak lies through Baal's prophets. God agreed and sent him to do it (1Ki 22:22). Shocking, but true. God did nothing wrong here, though. Ahab was wicked and if he was going to consult and trust in false prophets, God was going to use that sinful choice to bring judgment on him for his great wickedness. The story proves that demons can inspire prophecies, whisper into human minds. But is it only possible with wicked people? What about innocent atheists, or even lukewarm Christians? Or true servants of God? In the NT, servants of God are warned not to believe every spirit, but to test them because many false prophets have gone out into the world (1 John 4:1). This means don't assume when you get a dream or a word that it had to have come from God. We are to learn to discern. Unfortunately this means even when you're praying to God alone to speak to you, he does not cut off other voices from replying, too. God allows this to test us, and help us to learn his voice (Dt 13:1-3). Demonic spirit inspiration is how I understand and explain most Near Death Experiences (NDEs). The evil spirits know that someone coming back from the dead will receive a lot of attention. What better way to spread lies than to plug into that person when they are weak and vulnerable and deliver a false vision? If the vision has a healthy amount of truth mixed in, then the lies are much harder to see and discern. When I was young, like many of you I was intrigued by these NDE testimonies. Also the prophecies of Nostradamus, testimonies of Christians about heaven, and the like. As time went on, I saw they were inconsistent and unreliable and I stopped paying attention to them. Then my childhood interest in Bible prophecy was reignited by hearing an intriguing new explanation for Mystery Babylon. I always believed from teachings at church that Babylon was the Vatican. This new explanation took many more verses and show how they plainly fit America. I realized it was America all along but I had settled for a lesser answer that required me to ignore and twist the verses I now could see literal fulfillment in America. Something had never set quite right about that Vatican answer, and now I finally understood why, seeing the right answer. The True McCoy exposes the counterfeit. I was delighted to finally have an answer that made sense. In the course of a couple years, I went on to build upon that foundational truth and literal approach with more plain and literal explanations of hard questions and passages of Revelation, such as Wormwood. (That one blew Revelation wide open; not surprising given it makes up 6 of the 21 seals, trumpets and bowls). It just all fell into place easily and joyfully. It was thrilling! Since I could not keep such exciting findings all to myself, I wrote my book for others who, like me, wanted better answers than they got in church, too. When you live in a time when we can finally understand the once-sealed Words of God's holy prophets plainly and literally (Dan 12:4) as Jesus wished for his servants (Rev 1:1), why bother with the words and testimonies of unconfirmed prophets and other counterfeits like are shared all over the Internet? 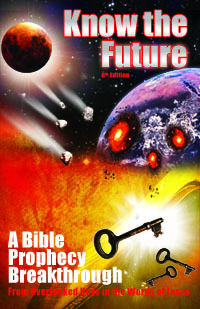 If you are ready to understand prophecy like never before, my book is available to help you do that. Feel free to email me (links at top and bottom) with any questions before and, of course, any questions on the book after. It would be my pleasure to help you if you are done with false prophecies and serious about understanding the sure word of Bible prophecy we have open to us now. The verse you couldn’t find the reference for, was it Deuteronomy 13:1-3? DL, Yes that was it. Thank you! I updated the article. A 3rd option for a dream or vision is Satan incognito. Maybe Natan means Jesus is here as Holy Spirit? I had just come across this boys video somehow today and some of if it gave me pause so when I did a little searching …look who popped up but my friend Tim! Loved your explaination especially about all the spirits trying to speak to us! Well another Obama accuser is shown to be a liar. I wonder if they are still sitting around here in 2018 waiting for Obama to invade?